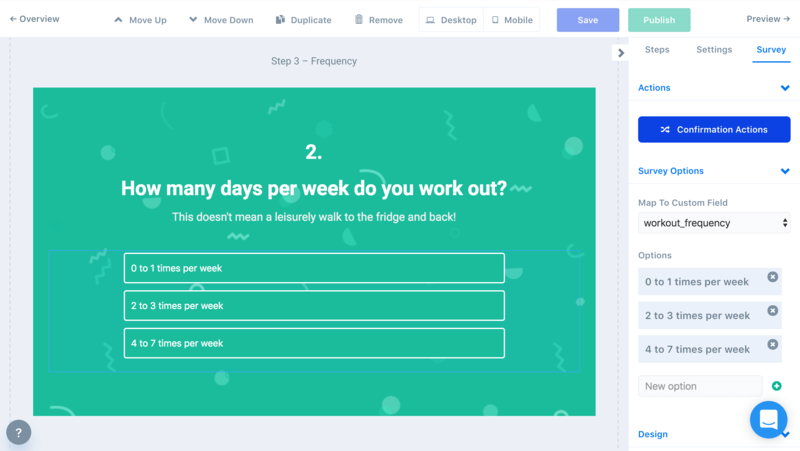 In ConvertFlow, you can add "survey" elements to your CTAs to ask your visitors a question and present them with fixed answers for them to select. 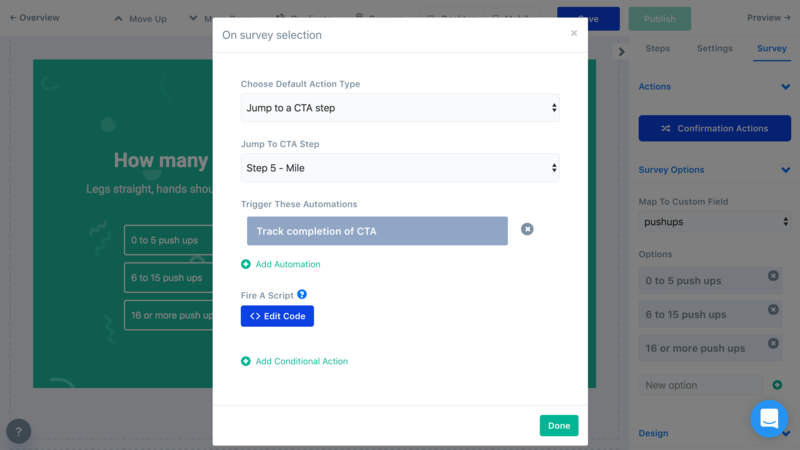 To add a survey to your CTA, click to add an element and choose the "survey" element type. Once you've selected a survey element, you'll be able to manage it's survey options in the builder panel. Here you can add survey options, arrange their position, edit their text and you can also map your survey to a custom field in your ESP/CRM. Each survey option can also have images, if you want your survey to have clickable images for your visitors to select from. Below the survey option settings, you'll find the style controls for your survey. 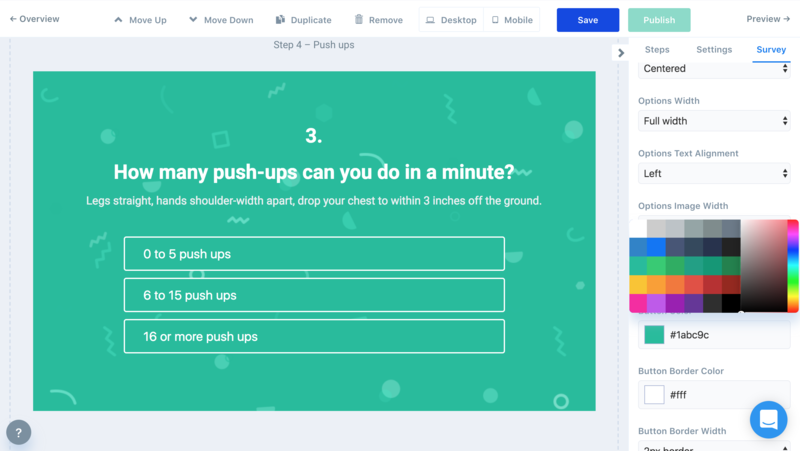 You can adjust the width of your survey, the alignment of the text, fonts, colors, sizing and more. While a survey element is selected, in the builder panel you'll be able to click to edit the confirmation actions of that survey. When editing the confirmation actions, you can choose what you want to happen when someone selects a survey option. Select the survey confirmation action you want, and you'll be able to enter the details. Here you can also add "Automations". 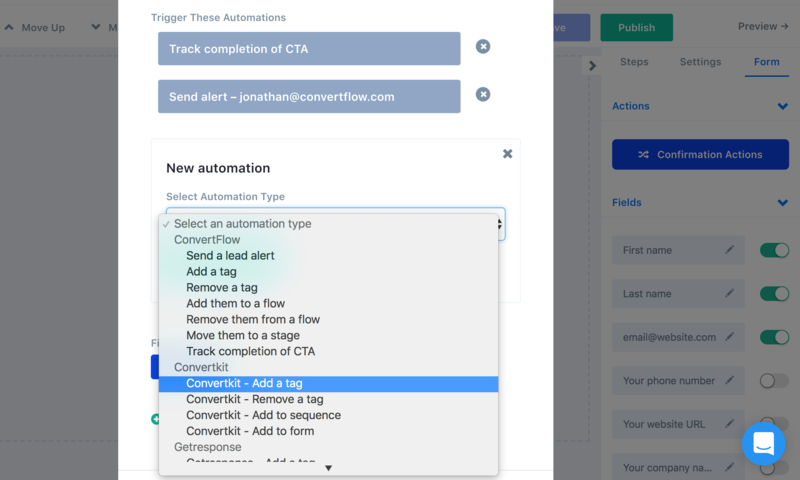 These can be automations in ConvertFlow such as sending a lead alert to a team member, adding a ConvertFlow tag to segment the contact for future targeting, etc. You can also add automations in your integrated email service provider. For example, for MailChimp you can choose which list you want to add the contact to. Add as many automations as you need to properly segment you contacts into the right audiences in your connected tools. By default, ConvertFlow will perform the confirmation actions you've set. 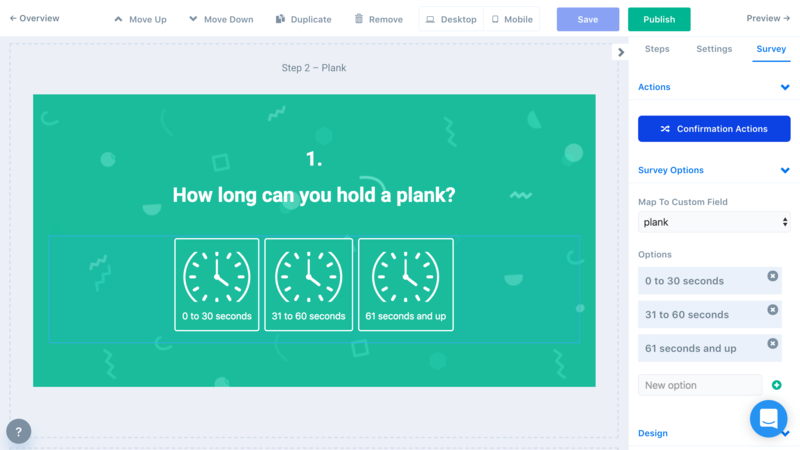 However, there may be scenarios where you want to perform actions only for certain people, such as directing quiz takers to a certain outcome based on their survey option selections. By clicking "+ Add Conditional Action", you can perform confirmation actions only for the visitors that meet the conditions you've defined.